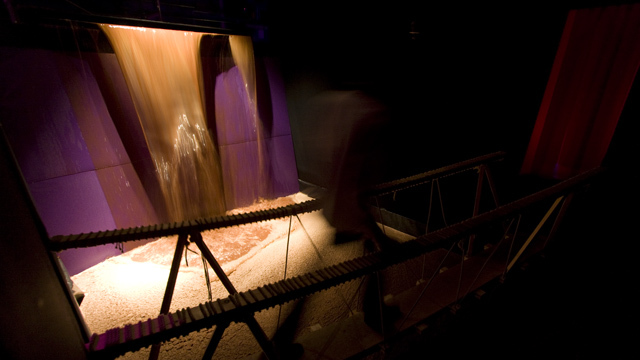 Bompas & Parr's chocolate waterfall event ran throughout the August 2011 bank-holiday weekend. Contracted to lead a build-team in a vacant shop unit we created the structure for thousands of litres of thick chocolate to cascade and churn. A rope bridge gave visitors the chance to linger above the waterfall and feel the its chocolatey breeze.